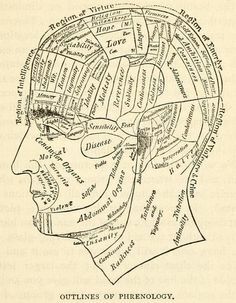 We can learn any assumptions and probabilities that await us – if we are clairvoyants or indirectly – if you are masters of astrology, chiromancy, phrenology, iris diagnosis and many others…. All of that kind of science we’ll call Soul Sciences . These sciences provide competent knowledge of karmic potential and therefore a possible future. Human hand is interesting to humans since the Stone Age. Archaeologists have discovered hands made of stone, wood and of ivory made by ancient civilizations. The Emperor of China has used the imprint of his thumb when sealing documents in 3000 BC Information on the laws and practice of chiromancy is found in Vedic scripts, Bible and ancient Semitic writings. In the 19th century, Dr. Karl Kraus, a doctor of the King of Saxony, linking hands with different personality types. 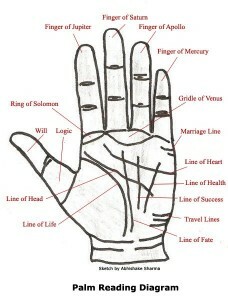 Advances in genetics and psychology boosts palmistry into the modern age. In 1901 Scotland yard adopted the technique of fingerprints in criminal investigations and identification. Medical researchers involved with the study of different skin types (dermatologists) discovered correspondence between genetic abnormalities and unusual markings in the hand. Studies confirm the relationship between specific fingerprints of the thumb and heart disease. In recent years, chiromancy is very well received around the world. 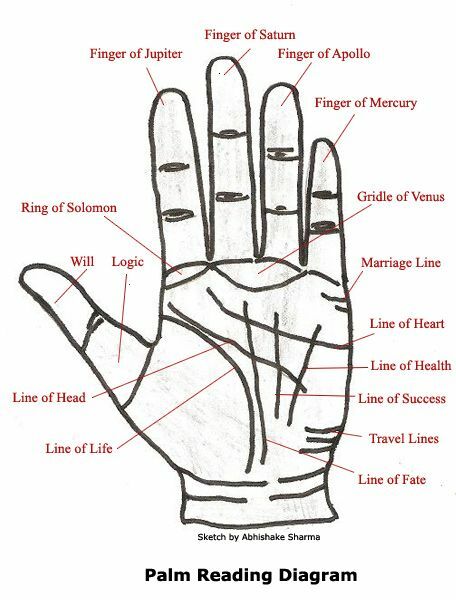 In every country in the world can find professional palmist who read the forms and lines of the hands. intellectual and emotional qualities are located in strictly delineated brain centers; expression of these mental qualities depend on the size of corresponding brain units; bones of the skull next to the brain and unevenness of the skull can draw conclusions about the intelligence and character of man. Iris diagnosis is a method that allows rapid and complete determination of the health of the human body. It is based on the observation and interpretation of an adaptation-trophic changes in the iris of the eye which are the result of disorders of certain organs and systems in the body. The method allows to detect not only the current health deviations, but genetically predisposed to certain diseases where localized and by whom inherited a fourth generation ago. 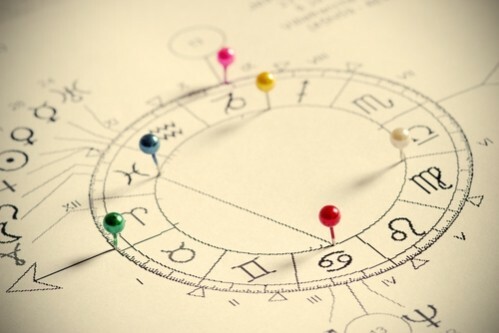 In 1960, psychologist Bernard Clark conduct empirical research, which aims to test the accuracy of astrology. Skeptical about these methods, he gave away several astrological maps of various astrologers and asked to be given the characteristics of the people to whom the card belongs. After the experiments his doubts dissipated and he concluded that astrology science can predict the future and to be dismissed only by people who suffer from deep prejudices. All of this Soul Sciences Can Help You Predict the Future. Fate is the result of the past. Free will is the result of the present. When we look back, we feel impact of fate. When we look forward, we see the dance of golden, energizing free will. Physical consciousness or body consciousness is limited. When we live in the body, we experience fate. The soul is ever free. When we live in the soul, we experience free will. 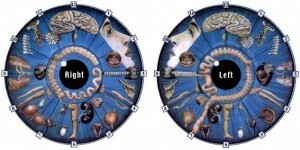 It depends on us whether we will live in body consciousness or the soul consciousness.